Booksamillion.com uses a "Shopping Cart" system that operates the same way a shopping cart does in a retail store: You may place items in and remove them from the cart at any time. An "Add to Cart" button appears beside each item throughout the online store. Just click the button to add an item to your cart! When you add an item to your cart, you'll be taken to a confirmation page. Once there, you'll have the opportunity to continue shopping. When browsing our site, you'll always have the option of viewing your cart by clicking the "Shopping Cart" button that appears below the navigation menu near the top of every page. If you'd like to order multiple copies of the same item, first click "Shopping Cart." Then change the number in the quantity field and click the "Update Quantities" button. When you've finished selecting the items you wish to purchase, click the "Check Out" button to advance to the payment and shipping area. At checkout, you'll be prompted to "Set Up a New Account" or to "Sign In" if you have previously created an account. To create a new Booksamillion.com account, enter your email address and a password. Your password must be at least four characters long and can be any combination of letters and/or numbers. Please note: Once you enter an email address and establish a password, our system will remember that relationship even if you don't place an order. If this is your first time ordering with us but you've previously entered an email address and password, you may want to try signing in as a "Registered Customer." After entering your email address and password, click "Continue New Account Setup" and follow the steps to enter your shipping information and payment information. Even if you will be paying by gift card or eGift certificate, our account set-up process requires a valid credit card number. At the Review step of the checkout process, you will be asked to verify that your order information is correct before order submittal. Here, you'll also have the opportunity to choose the shipping method, select gift options, enter a coupon code, enter Millionaire's Club Member information, or validate/apply a gift card or eGift certificate. Once you've reviewed your information and are confident that it is correct, click the "Submit" button. At this point, Booksamillion.com will attempt to pre-authorize the charge. The pre-authorization process is designed to better assist you with your order and ensure that your order will not be later delayed by a billing error. 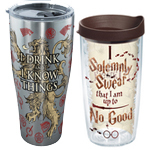 You will not be charged at this step; Booksamillion.com will charge for orders only after the order actually ships. If the pre-authorization fails when you attempt to submit your order, you will get a billing error message that will prompt you to check your billing information or enter an alternate credit card. You will not be able to submit your order until there is a successful pre-authorization. Once your order has been submitted, you will receive an email confirmation. This confirmation will also contain your Order ID number. Keep this information in your records as it will help our Customer Support staff better assist you if you need to contact us. Click the "Add to Cart" button to add an item to your order. 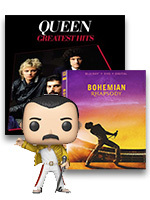 If you're viewing the list of items in your shopping cart and wish to continue browsing Booksamillion.com, click the "Continue Shopping" button. You may remove items from your cart by clicking the "Shopping Cart" button, which is located just below the navigation menu. Click the selection box beside the item(s) you'd like to remove, and then click the "Remove Selected" button. You may also remove items from your Shopping Cart by changing their quantities to zero and then clicking the "Update Quantities" button. Not ready to purchase right now? You can save the items in your cart for later! When viewing your shopping cart, check the selection box beside the items you want to save, and then click the "Move Selected to Wish List" button. You'll need to sign in to save items to your wish list. 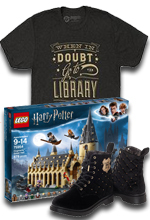 When you return to Booksamillion.com to make your purchase, simply sign in and click the "Wish List" button to view the contents of your Wish List. 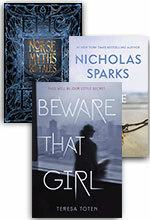 For complete details on coupons and other promotional offers offered on Booksamillion.com, click here. 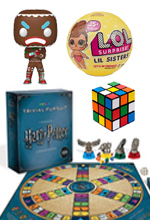 You will find the stock status of each item clearly displayed on Booksamillion.com. In addition to processing times, shipping timeframes range from 24 hours for In-Stock items to two to four weeks for special order items. Advance Order items (Pre-Orders) are shipped when they are released by the publisher. Advance Order items will not delay the rest of your order. We may discover that an item in your order is no longer available or that it will be out of stock for an extended period of time. At that point, we'll ship the balance of your order and ask you to reorder the out of stock item in the future. This will not increase your shipping charges. Sales tax is collected on orders shipped to the following states: Alabama (AL), Arizona (AZ), Arkansas (AR), Colorado (CO), Connecticut (CT), Florida (FL), Georgia (GA), Hawaii (HI), Idaho (ID), Illinois (IL), Indiana (IN), Iowa (IA), Kansas (KS), Kentucky (KY), Louisiana (LA), Maine (ME), Maryland (MD), Michigan (MI), Minnesota (MN), Missouri (MO), Mississippi (MS), Nebraska (NE), Nevada (NV), New Jersey (NJ), New York (NY), New Mexico (NM), North Carolina (NC), North Dakota (ND), Ohio (OH), Oklahoma (OK), Pennsylvania (PA), Rhode Island (RI), South Carolina (SC), South Dakota (SD), Texas (TX), Tennessee (TN), Utah (UT), Vermont (VT), Virginia (VA), Washington (WA), Washington D.C. (DC), West Virginia (WV), Wisconsin (WI) and Wyoming (WY). Sales tax is applied on Millionaire's Club membership auto renewals in states where required. Sales tax will be applied to the entire order, possibly including shipping and handling and/or gift wrap fees, where applicable. Tax calculations are based on the destination address and may include city, county, and state charges. When you place an order, an estimated sales tax amount will be displayed. The exact sales tax will not be calculated and charged until your order is processed to ship. Because tax laws may change between the time your order is placed and when your order is charged and shipped, it is possible the tax amount will increase or decrease. Tax-exempt orders Schools, libraries, churches, government and non-profit agencies, and other tax exempt organizations can easily place a tax exempt order by contacting the Booksamillion.com Business Department at 800-201-3550, Option 3, Monday through Friday from 8:00 AM to 5:00 PM CST. You'll be required to either fax your tax exempt certificate to 205-909-3396 or email a copy of it to [email protected]. Click here to download the Certificate of Exemption form in PDF format. As of October 25, 2013, all tax exempt records have been updated. Therefore, you may be asked to resubmit your certificate for verification purposes. Once verification has been made, your account will be set to allow tax-exempt purchases. Booksamillion.com accepts Visa, MasterCard, American Express, and Discover. You also have the option of using PayPal as your payment method. At the final step of the checkout process, simply select PayPal as your payment method. Once you click "Submit This Order," you'll be redirected to the PayPal site to complete your transaction. You can also pay using Books-A-Million gift cards and eGift certificates. Click here for more about gift cards and eGift certificates. Booksamillion.com takes your security very seriously. We process orders with an SSL Secure Commerce Server, which utilizes military-grade encryption to protect your credit card information. All credit card information is encoded with strong encryption before storage. To further respect and protect your privacy, Booksamillion.com does not release your credit card information or mailing address to any outside organizations. Booksamillion.com guarantees your satisfaction and offers you returns within 30 days of order receipt on most items*. 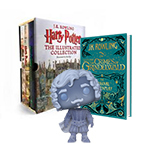 For added convenience, Booksamillion.com account holders can return their purchases* to their local Books-A-Million retail location! Customers who checkout as a guest will need to contact Customer Service at [email protected] for returns. To find the store nearest you, visit our Store Finder. If the Return to Store button is not available to click, then your purchase is not eligible for an In Store return. The In Store Receipt will show a Last Return Date and will note if a product is Non-Returnable. Return your purchase, along with the Printed Return Receipt, to your local Books-A-Million store. Please email our Customer Service department at [email protected] if you need assistance with In Store Returns. Email our Customer Service department at [email protected]. A return authorization number and return label will be emailed to you within 24 hours. Pack the item(s) that you are returning to us securely. Enclose a copy of your packing slip. Affix the label that we emailed to you and ship the package. Be sure to apply adequate postage. We are not responsible for the item until it arrives at our facility, please save your tracking information so you can follow up with the vendor you shipped with. Our Returns Department will issue your credit within 24 hours of receipt scan at our warehouse. All returns and billing questions must be resolved within 30 days of order receipt. Items returned will be refunded to the credit card used. If you used a gift card to make your purchase, credit will be issued back to the gift card. Please note that shipping and handling charges are non-refundable. A 10% re-stocking fee may be applied to large or special orders. Electronic returns, such as Compact Discs, DVDs, Video Games and Consumer Electronics (headphones, speakers, etc.) must be sealed in the original package unless defective. Defective returns are subject to the same constraints as other merchandise. Defective merchandise must be returned with the original packaging. *Does not apply to items purchased from the New & Used Marketplace. See Return Policy for New & Used Marketplace items. *Does not apply to eBooks or Audio Downloads, once purchased and/or downloaded. Please verify device compatibility prior to purchase. *We cannot accept returns of product marked "non-returnable". 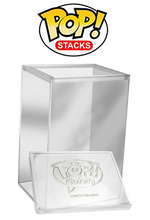 *We cannot accept returns for variants, and no variants or bulk purchases made online can be returned to stores. Click "My Account" from the top of any page, then enter your email address and password. You'll see the order history and status of your recent orders. Business customers should send an email to [email protected] to check their order status. The "Ship To Multiple Addresses" option allows you to place multiple orders with just one trip through the checkout process. This is especially useful when you wish to send gifts to a variety of people at different addresses. Assemble all of your merchandise into your shopping cart before you click "Check Out." 1) Click "Ship To Multiple Addresses" After you Sign In (first-time customers will also need to enter a shipping address and credit card billing information), you'll advance to the Review page. If you want the items in your order delivered to more than one address, click the "Ship To Multiple Addresses" button. 3) Review the Order Details and select a Shipping Method for each address. After choosing the delivery addresses, you'll return to an expanded Review page. Here you'll see the items separated into a separate order for each address. You may choose the shipping method and set gift wrap options for each address. To complete the purchase, review the payment options and finally click "Submit This Order." How can I send the same book to several people? Set the quantity to the appropriate number before clicking "Ship To Multiple Addresses." 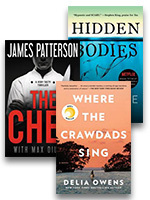 For example, if you'd like to send James Patterson's latest novel to four people, set the Quantity in your shopping cart to 4. When you click "Ship To Multiple Addresses," the book will appear in your cart four separate times. You'll be able to choose the shipping address for each book. If you want one person to receive two copies, choose that person's address twice. If my order is sent to several addresses, what is the charge for shipping? When you divide your order into multiple shipping addresses, the per order shipping amount will apply to each address. How do I enter more shipping addresses? If you've already established an account on Booksamillion.com, sign into "My Account" and enter more addresses to your address book prior to placing items in your shopping cart. If you've already started shopping, you may enter new addresses at several points during the checkout process. Just look for the "Enter A New Address" button. I'm purchasing many items as business gifts. How many items will my shopping cart hold? You may use the multiple shipping address option with up to 100 items in your shopping cart. However, if your order gets too large, your web browser will likely have problems processing the shopping cart's large amounts of data. If you need a greater quantity, simply place another order. You may also consider using the services of our Business Services Department. View the Business Services information page for more information on our bulk ordering services. I'm sending items as a gift. Will the recipient see the price I paid? Click "Choose My Gift Options" and designate that your order is a gift. Gift orders receive an alternate packing slip that does not display prices. You may also enter a brief gift message that will appear on the packing slip. We now offer Video Gift Messages, record yours today! Want to send items to loved ones stationed overseas? Booksamillion.com is an authorized retailer for shipping packages to Army Post Office (APO) and Fleet Post Office (FPO) military addresses. These orders receive our lowest U.S. shipping rates (the address must use a U.S. ZIP Code). Please note that we cannot ship electronics devices or the coordinating accessories to APO/FPO addresses. This includes, but is not limited to: NOOK™, Motorola XOOM™, and Nintendo™ products. How should I enter an APO/FPO shipping address on the order form? Put APO or FPO in the City field, select the location from the State menu, and enter the correct ZIP code. New & Used Marketplace books come from different sellers throughout our network. Each book has a description that was provided by the seller, so you will find variations in how each book is described. Below are some of the common abbreviations and terms you may find, along with at general guide to various condition ratings, and information on returning items from the Marketplace. Keep in mind that each book is unique and the individual characteristics and conditions will vary. Items marked as "non-returnable" are provided to us via a third-party vendor that does not allow product returns. Therefore, we are unable to accept any customer returns of such items or issue any refunds. Please review your purchase of this item as all sales of non-returnable items are final.